The Palace Hotel has a special room catering for the needs of the physically challenged. This well-appointed room is strategically located on the 5th floor of the building – close to the elevator. Fully Air-conditioned, this room provides comfort and coolth. Coffee making facilities allow you to enjoy a coffee or two without the need to disturb your quiet moments by the need to call up Room Service. A 32-inch flat screen Satellite Television allows you to keep up to date with current affairs. Easy access ensuite bathroom facilities fitted with grip handles in the elegant bathtub assure you of a calm approach to what should be one of the lovelier moments of a day – your relaxing bath. 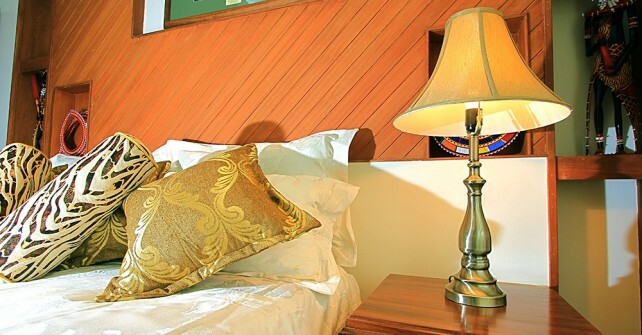 Spacious and luxurious, this especially appointed room affords you the comfort you need to maneuver without frustration.